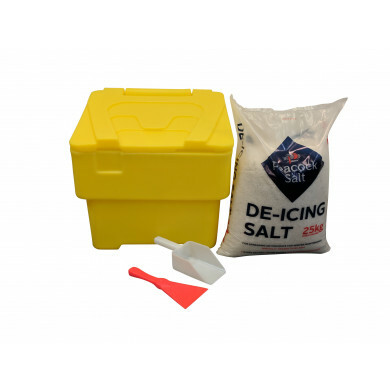 Small domestic starter kit supplied with one 25kg bag of Brown Rock Salt and a hand scoop for easy distribution. 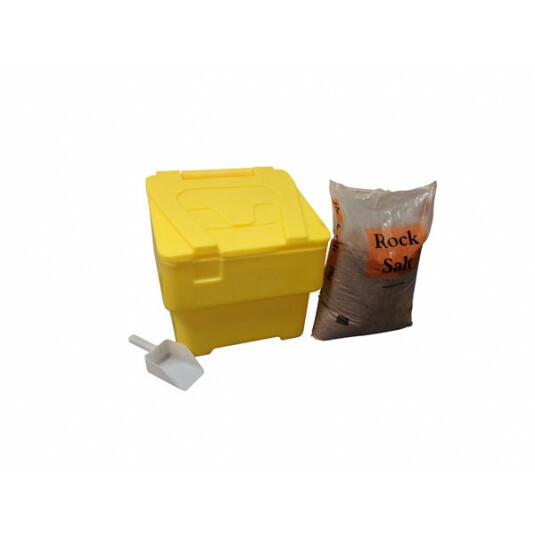 This package is supplied as a starter kit with one 25kg bag of Brown Rock Salt and a hand scoop for easy distribution. 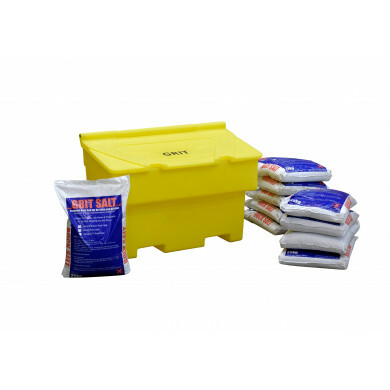 This 60 litre grit bin has the capacity to store 65kg of winter salt. This product is the ideal size for home use. 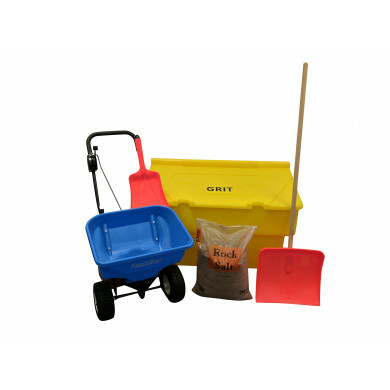 Weighing just 5kg, the 60 litre grit bin is easy to handle and is aesthetically pleasing for smaller properties. Available in Yellow, Green and Stone.